1. 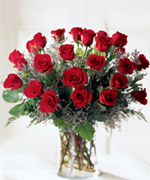 You get very day fresh flowers with us. 2. Free home delivery services for all locations under the city limits within Chennai. 3. No hidden charges, prices quotes are net. 5. Accepting offline and online orders. 0Awesome roses they have. It lasted for almost four days. I got timely delivery at my home for my wife. You made beautiful balloon decoration on my kids 1st Birthday. Everyone liked it and I was feeling great to use your service. Thank you. I have been using their floral services since almost five years. They never failed in quality and the delivery date. They delivered wreath within two hours of notice. I cannot forget their help on the day my father passed away. 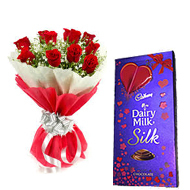 After a long period of time I got the right local vendor for flowers and cakes in Chennai. The quality is always very good. Great Thanks! I cannot expect mid night arrival of cake at Tambaram but they did it. To my surprise, they added greeting card, candle and a knife too. Keep it up guys! I will use your service again. Birthday Gift Set contains 4 birthday caps, 1 Happy Birthday Banner, , 1 crown and 10 colorful balloons. Birthday Special Gift Set contains 4 birthday caps, 1 Happy Birthday Banner, 1 Mylar Balloon, 1 Surprise gift pack, 1 magic popup, 1 crown and 10 colorful balloons. Black Forest Cake Half Kg.